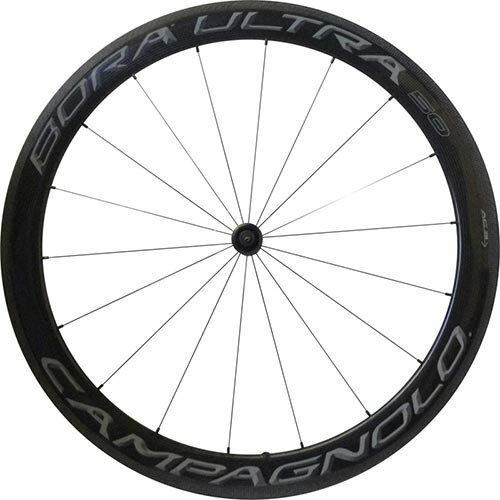 50mm deep complete carbon rim, in particular designed for 25c and 28c tubular tires. Wider 24.2mm rim will increase wheel stiffness, reactivity, and aerodynamics. New AC3 (All Prerequisites Carbon Keep watch over) brake observe additional improves braking in dry and rainy Prerequisites as opposed to earlier Bora wheels. G3 Spoking development reduces rigidity and lengthening pressure. CULT ceramic bearings for without equal smoothness. Darkish labels. 1215 grams according to pair.